One Price. One Person. One Hour.® It’s a promise we pioneered to consistently identify, respect, and exceed our client’s expectations. Seamless transactions with no surprises — it’s car buying redefined. Experience it firsthand only at Schomp BMW. 2MSRP excludes destination & handling fee of $995, tax, title, license, and registration. 2016 228i Coupe shown. Available in Sedan, Sports Wagon, and Gran Turismo. 2Starting MSRP applies to 2015 320i Sedan and excludes destination & handling fee of $950, tax, title, license, and registration. 2015 320i Sedan shown includes Sport Package. Available in Coupe, Gran Coupe, and Convertible. 2MSRP excludes destination & handling fee of $950, tax, title, license, and registration. 2015 428i Coupe shown includes Sport Line. Available in Sedan and Gran Turismo. 2MSRP excludes destination & handling fee of $950, tax, title, license, and registration. 2015 528i Sedan shown includes Luxury Line. Available in Coupe, Gran Coupe, Convertible, and ALPINA Gran Coupe. 2MSRP excludes destination & handling fee of $950, tax, title, license, and registration. 2015 640i Coupe shown includes M Sport Line. Available in Sedan and ALPINA Sedan. 2MSRP excludes destination & handling fee of $950, tax, title, license, and registration. 2015 740i Sedan shown includes M Sport Edition. 2MSRP excludes destination & handling fee of $995, tax, title, license, and registration. 2MSRP excludes destination & handling fee of $995, tax, title, license, and registration. 2016 Z4 sDrive28i shown. 2MSRP excludes destination & handling fee of $950, tax, title, license, and registration. 2017 BMW i3 shown includes Mega World. 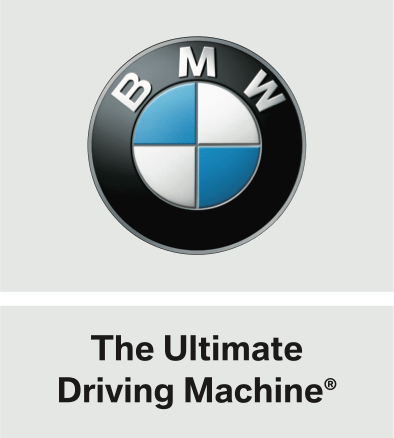 To help you enjoy everything your BMW has to offer, a team of BMW Geniuses is available to provide you with helpful product information and to answer your questions wherever you are – in BMW centers, via your smart phone or tablet, or by calling the BMW Genius Hotline. Through the years, we visualized a revolutionary approach to selling all of our vehicles. Whether new, pre-owned or Certified Pre-Owned, our non-commissioned client advisor and BMW Genius teams are here to make everything seamless. In a traditionally stagnant industry, Schomp BMW choose to remain ahead of the curve, creating and enhancing innovative client-first philosophies in everything we do. It’s our promise to keep things simple, transparent, and straightforward, lending to a uniquely stress-free luxury car purchasing experience. We’re worth the drive from anywhere in Colorado and beyond, and would be honored to represent how simplistic and tailored buying a new BMW can be.